Plans for hundreds of new homes on the edge of the Chichester Harbour area will have an ‘irretrievable detrimental impact’ on the conservation area, according to Chichester Harbour Trust. The comments were published as part of an ongoing public consultation on Chichester District Council’s Local Plan Preferred Approach document, which sets out plans to build 650 homes a year in the district up to 2035. READ MORE: What is Chichester’s Local Plan Review, what are the key issues in it and how do you comment on it? Residents can comment on the Local Plan Review until this Thursday (February 7). Posting on its website, the trust said it was worried about the possible impact of policies in the plan on the harbour Area of Outstanding Natural Beauty (AONB). Of particular concern was a plan for employment land, 100 homes and a new link road on land at Apuldram. 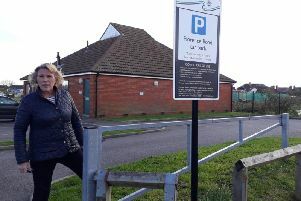 The harbour also gave concerns about policies for a minimum of 250 homes at Highgrove Farm, Bosham, 250 houses at Fishbourne, 500 houses at Chidham and Hambrook and 1,250 houses at Southbourne. Consultation ends on Thursday February 7 on the Local Plan Review.